Not long after Tom started painting, his friends happened by. When his friend Ben stopped by on his way to the swimming hole he asked Tom, “Why, ain’t that work?” Tom continued whitewashing the fence and replied, “Well, maybe it is, and maybe it ain’t. All I know, is, it suits Tom Sawyer.” One by one, Tom convinced Ben and other friends that whitewashing a fence was not work but fun and that they should want to get in on the action. And, indeed they did. Aunt Polly’s fence got whitewashed by an army of painters. 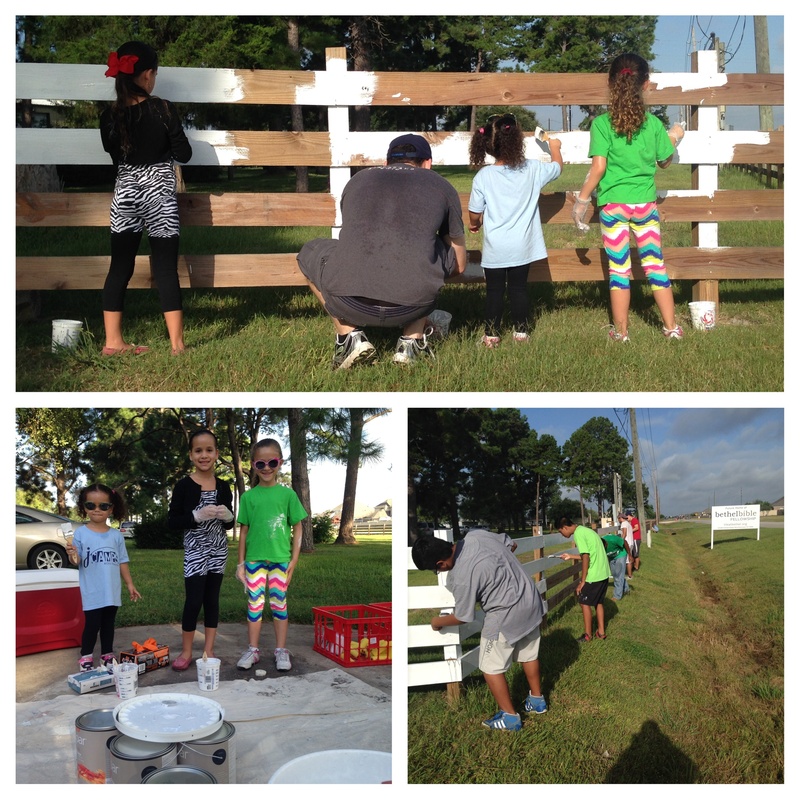 This morning, volunteers from Unidos en Cristo and Faith and Fellowship, two Kingsland small groups, helped to whitewash the fence that borders the newly purchased property of Bethel Bible Fellowship. It really did not take much convincing to get these folks to paint the fence at the future home of our third daughter church. They showed up ready to serve in spite of the heat and humidity. 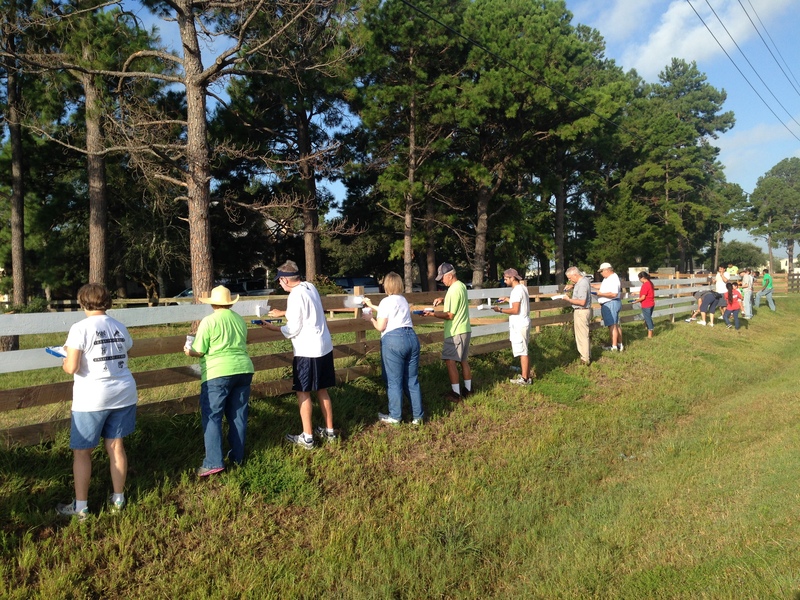 With paint rollers and brushes in hand, our small army of volunteers made quick work of painting the fence. What I enjoyed most about this morning’s service initiative was how much our volunteers enjoyed serving. As I walked along the fence dispensing paint, I listened to conversations in two languages, lots of laughter, and witnessed really good fellowship among everyone at work. And, because we are committed to equipping the generations, I enjoyed watching kids work alongside their parents. These kids will grow up with special memories of having served others with their parents. And that is a very good thing. We will continue our work of fence painting at Bethel and also some landscaping with next week’s group of volunteers. 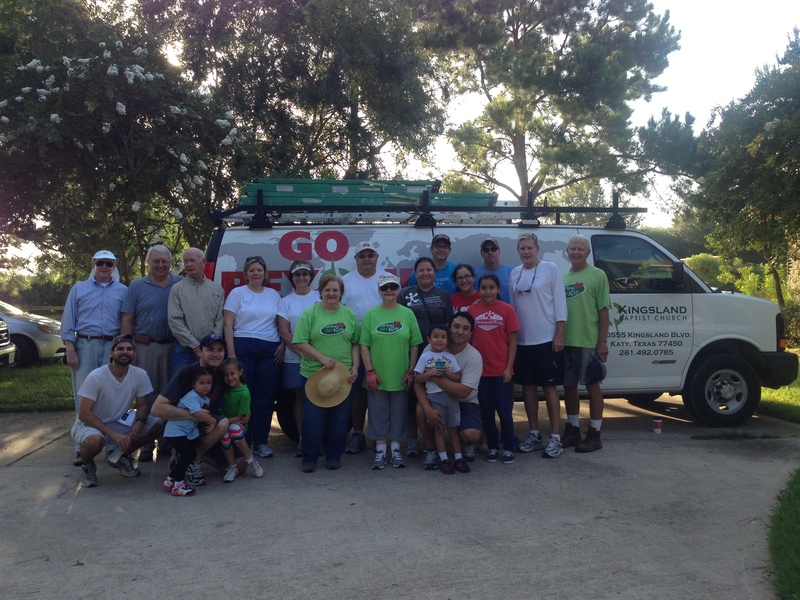 I am grateful for our small groups and their willingness to serve others in our community. We have a full calendar of initiatives scheduled for this Fall that will give our small groups opportunities to serve throughout our community. If you are a Kingsland member, I hope you will join us on one of our Saturday service initiatives in the coming months. I guarantee you that “it ain’t work” and it sure is fun.